Deleting folders and files can be done similar to Moving. 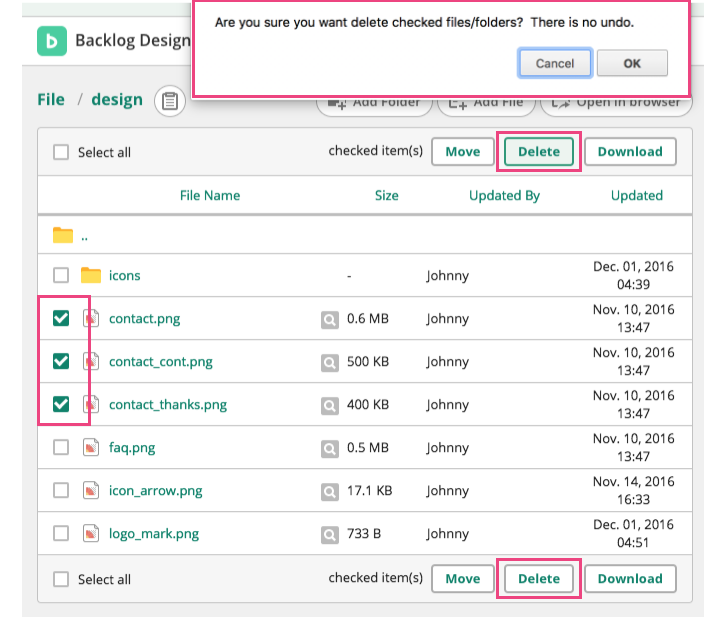 Select a file or folder by checking its box and press "Delete". A window will pop up asking,"Are you sure you want to delete checked files/folders? There is no undo." Press "OK" if you are sure you want to delete the file/folder, or press "Cancel" if you don’t want to delete them.